Will could eat a hamburger twice a day, every day of the week, and not bat an eye! He LOVES a great burger! 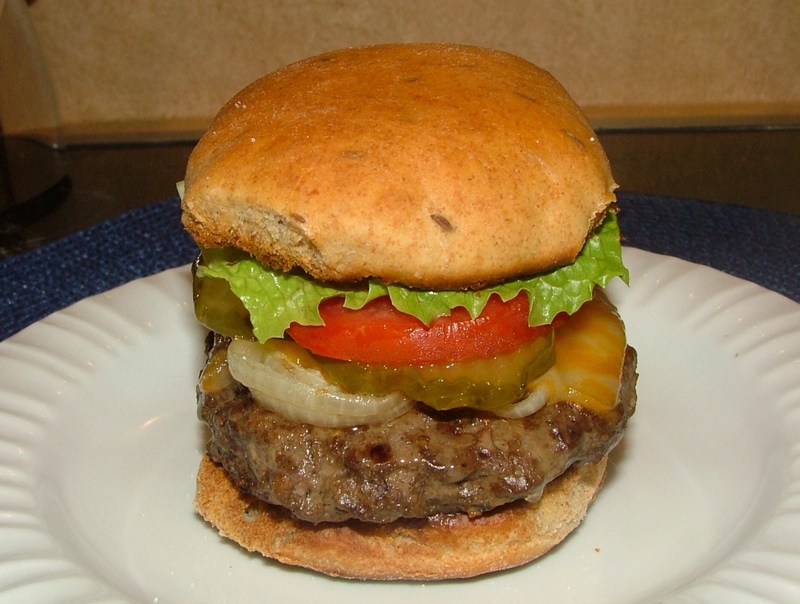 He especially loves his burgers inside one of my lightly toasted, homemade burger buns! I know these will be a big hit! Big juicy burger on rye! Will is going to love these! Rye bread is one of my favorites! 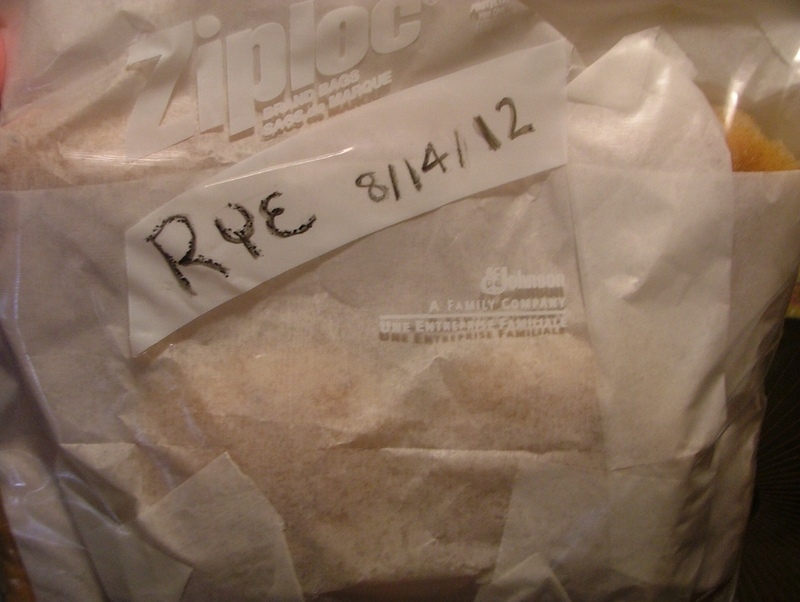 Back before I made all our breads, I would buy a loaf of Oroweat Sour Rye once in a great while, to satisfy my craving for good rye bread. Now I make light rye, dark rye, deli rye . . . whenever the mood hits me! 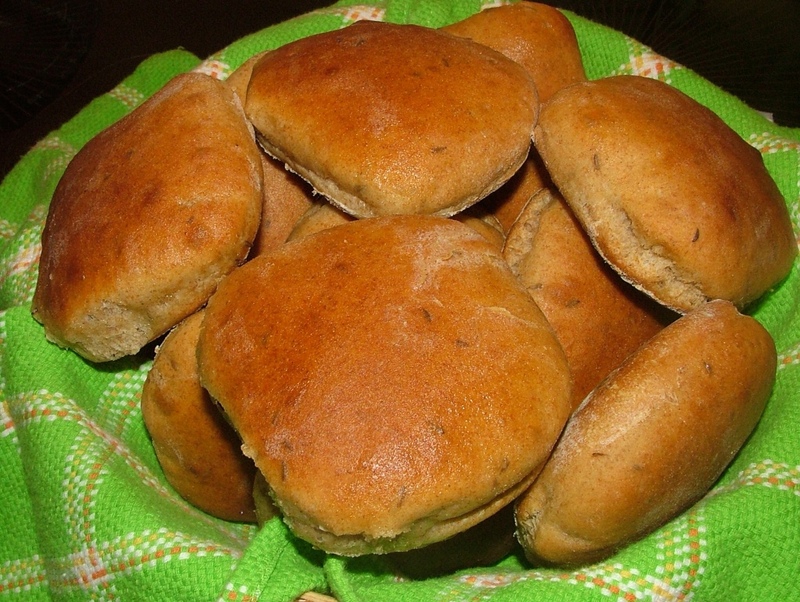 I looked and looked and couldn't find a recipe for rye burger buns in any of my many bread cookbooks. So, I decided to create a burger bun out of rye, complete with caraway seeds! They need to be soft, with that yummy sour taste of a great rye bread! I incorporated my Easy Crock Pot Greek Yogurt, plain, of course, and the whey. Adding these two ingredients makes these buns light, tender, and flavorful! This recipe makes a "Baker's Dozen" (13), plus a tiny bun for the cook to sample! Add all the ingredients in order, unless your bread machine manufacturer states differently. 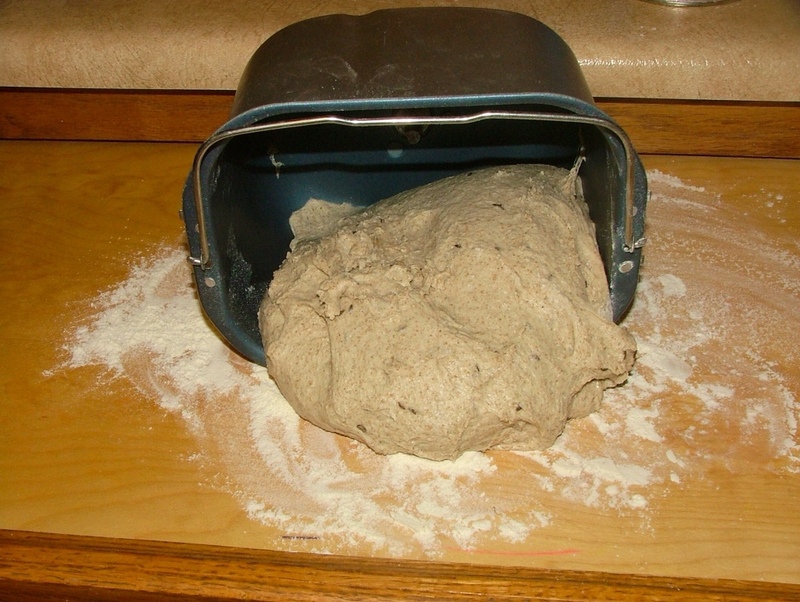 Make a shallow well in the flour being careful not to break through into the liquids; place the yeast in the well. Punch on the DOUGH CYCLE ~ on most bread machines that's "6" and the cycle lasts 1 hr 30 minutes. When cycle is finished gently pull dough out onto a floured surface; dough will be sticky (that's necessary for a soft, tender crumb). Pat dough evenly to about 3/8-inch thick. Cut out with glass or container the size you want your buns. Place buns on a parchment lined baking sheet. Cover with greased plastic wrap and put in a warm place to rise for 30 minutes. Bake buns for 22 minutes, or until golden brown. 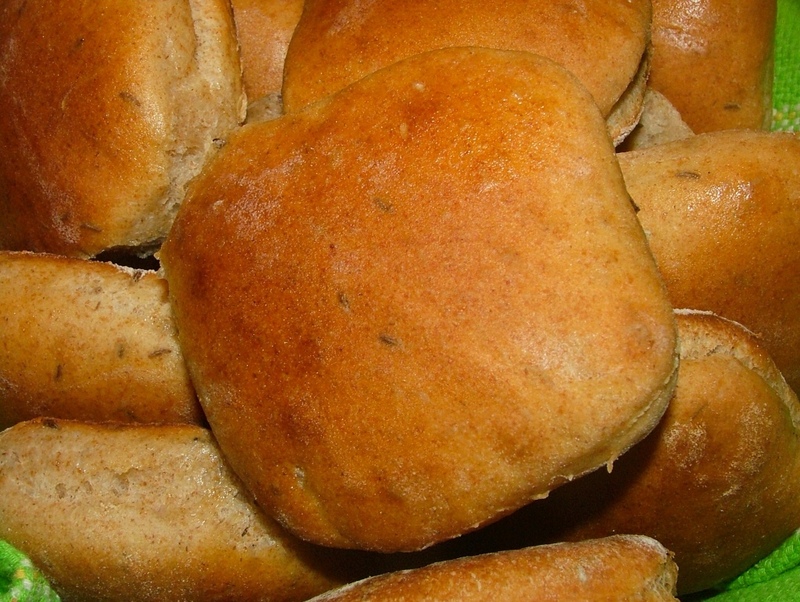 Brush with butter and cover with a tea towel to keep buns soft as they cool. Split evenly with a serrated knife; butter and lightly toast, cut side up under the broiler. Pull dough out onto a floured board. 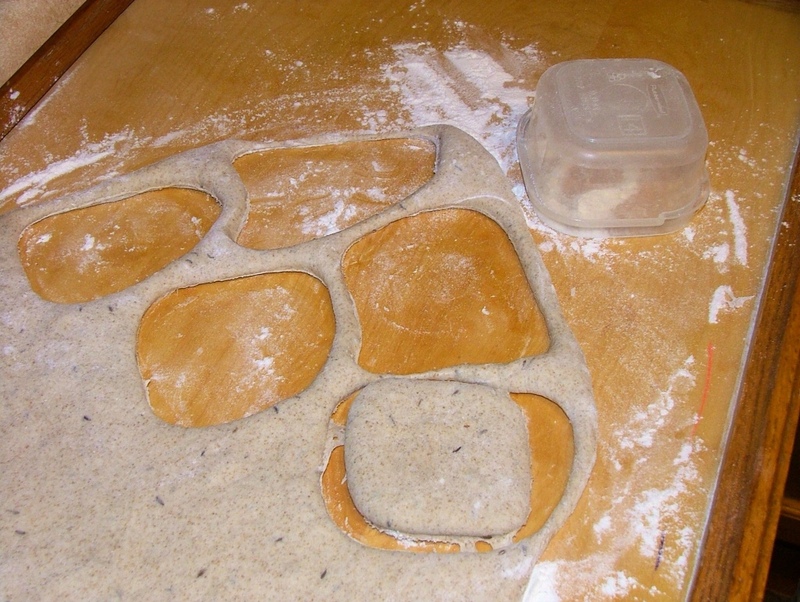 Pat out dough to 3/8-inch and cut out buns. These would make great ham or corned beef sandwiches or even a turkey on rye! Julie's tip on freezing baked goods: Below is a trick I came up with after having so many of my baked goods covered in ice crystals. This really works! I use this method, when I freeze scones, cookies, sweet rolls, biscuits, buns etc. 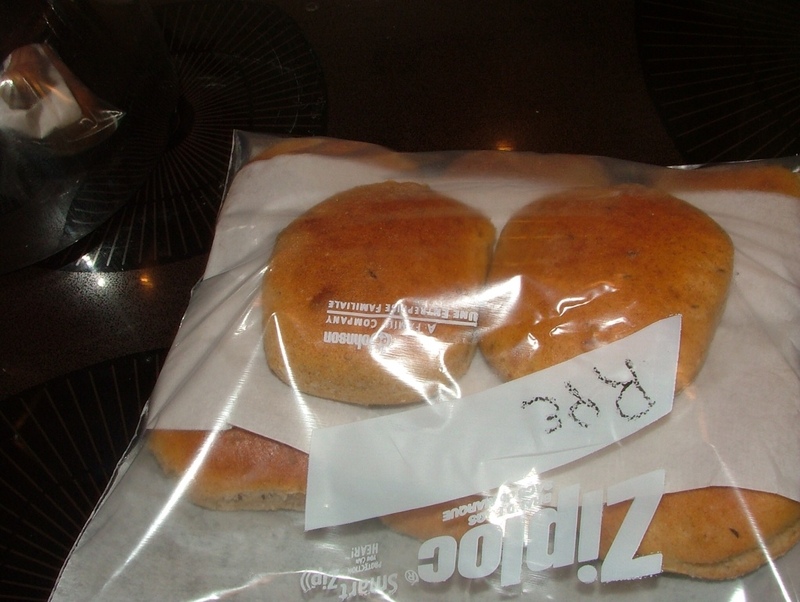 To freeze buns place wax paper* in the bottom of a ziplock bag, lying flat on the counter. 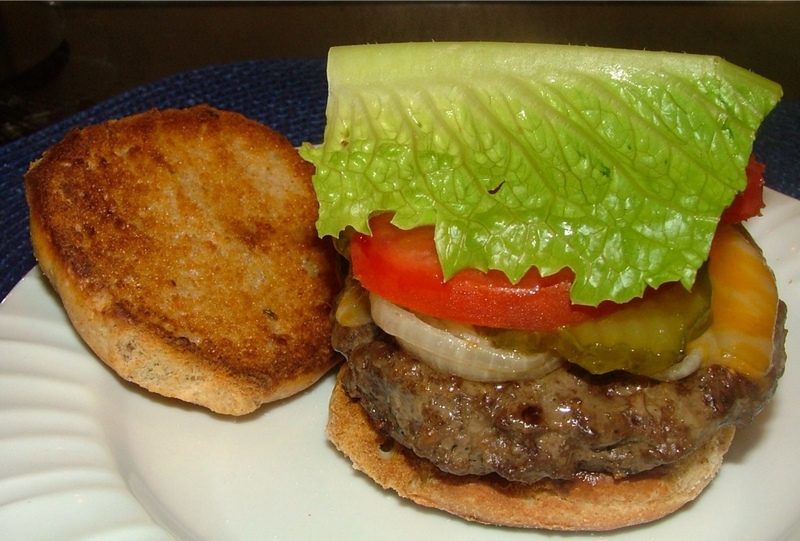 Add buns in a single layer; top with another layer of wax paper. I put 6 in my first layer; topped them with wax paper; added 2 more, topping them with wax paper. Press gently to push out air and seal. Lay bag flat in the freezer. *You may purchase wax paper sheets at Sam's, Costco and Smart and Final. I use the wax paper and foil sheets for everything! This kind of gives you a visual of the layering of wax paper. Add final layer of wax paper; gently push out air; seal and place in freezer lying flat. I am very pleased with how these Rye Burger Buns turned out! They satisfy my love for rye bread, and provide a very handy and extremely tasty platform to place Will's prized hamburger! Lots of smiles, lip smacking and mmmms . . . . going on . . . Over at Julie's!! !